An homage to the classic Oregon Trail game lets players revel in nostalgia. 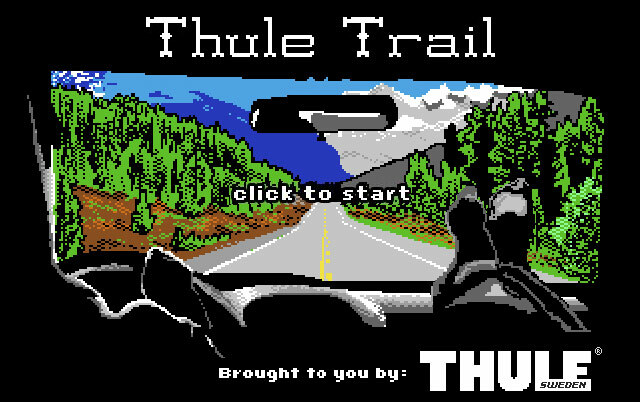 The Thule Trail game updates the original covered wagon journey with a road trip to a music festival. All the story elements are updated for the modern age, but we retained the visual and audio style of the classic game. The reaction was overwhelmingly positive and the game quickly made its way on to the front page of Digg, resulting in massive amounts of new traffic to the Thule Road Trip site.